The topics of border walls and immigration have flooded newscasts and social media this past year. Opinions are strong. THE ONLY ROAD delves into the issue from the other side of the border–actually two borders. It’s about a family making a tough decision and the consequences of their decision. If I were in their shoes, I’d probably make the same choice. That choice is to send their 12-year-old son, Jamie, and his cousin Angela on a dangerous trek to cross two borders and join Jamie’s older brother in New Mexico. Their town in Guatemala is run by a ruthless gang and even the police are corrupt. You pay this gang to ensure your own safety and young people are forced to join the gang. Declining either will lead to death like it did for Miguel, Jamie’s cousin and Angela’s brother. The only hope for a safe life for these two is El Norte (the north) and Estados Unidos (United States). The parents make the difficult decision to make a better future for their children by saying goodbye. They prepare them for this trip by sewing the needed money for their crossing in the lining of their pants. A friend smuggles the two in his truck across to Mexico and from their it’s all walking, trains, and bus travel. It’s fraught with danger, who can you trust scenarios, and life threatening situations. Told in third person, but always close to Jamie, the story would be best for age 11 and up (good for a mature fifth grader, but the stark realities might be too much for an 8 or 9 year old). The POV choice is a good one as it keeps young readers on the outside looking in on the horrific life of two kids on the run. Spend some time on THE ONLY ROAD. It will be an eye-opening experience and you might never look at the face of immigration the same way. I have a brand new hardback of THE ONLY ROAD for one lucky reader. Just comment and I will draw the winner at 10 pm EDT on March 16th. FULL PLOT (From AMAZON) Twelve-year-old Jaime makes the treacherous and life-changing journey from his home in Guatemala to live with his older brother in the United States in this gripping and realistic middle grade novel. Jamie loves to draw and his sketchbook is the one prized possession that keeps him moving forward. He’s quite good at it, too. He can hardly believe there are schools with art teachers. Art makes a great side story to the one in real life. Spanish words are mixed throughout but a 20-page glossary fills you in on their meaning. The story deftly shows how money and power are the core of the immigration issue. If you need something there’s always a person on either side of the border willing to take your money. Angela takes on the mothering role both for Jamie at times and for a young refugee they meet along the way. Family is of the utmost importance even if you’ve left most of them behind. I was thankful for what I have, but also sad for those with much less. No one said anything, but a murmur passed through the car. This was it. This would be how they ended their journey. So much for the first-class cabin with comfy seats and AC. They were no better off than cattle going off to be slaughtered. Except maybe cattle cars had more ventilation. Jamie wondered how long they had, how much oxygen was left in the car. If only Miguel was here. He was the one good at math and science. He would know how much time they had left. The biggest advice I can give anyone who really, really, really wants to write is to keep doing it. Regardless of how many people say that you’ll never make it and that you’re just wasting your time, if it’s what you want to do, THEN DO IT! Same goes for anything else you want to do in life (especially in the arts–dancing, singing, painting, acting, etc). Others may try to put you down, but you are the only one who knows whether you can make it or not. Honestly! 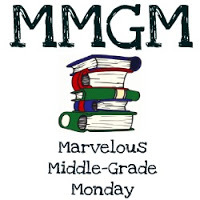 This entry was posted in Reviews and tagged Alexandra Diaz, male protagonists, Marvelous Middle Grade Monday, MG book reviews, Middle grade, Middle Grade Diversity, The Only Road. Bookmark the permalink. Wow! This sounds like a fantastic book. And so heartbreaking. I’m going to let someone else win as I’m not reading MG right now. But if I was, this would be one to read. I just got this one (so no need to enter me in your draw) and am looking forward to reading it even more after reading your review. Bumping it up to the top of my pile! Oh, I’ve been looking for immigration books to share. This is a great share. Many of us are focusing on immigration and diversity, since it is a timely topic. We need to reach the young people, who will be our future leaders. Excellent review! I will read this book! Great timing indeed. I want more understanding of this issue. The characters sound like ones you’d want to know better. Thanks for the awesome recommendation. This looks like a great book. I would love to read it. Well, you know from my February review that I felt the same way about this lovely and heartbreaking book. Such an important read. I already have my own hardcover, so please let someone else win. Thanks for sharing this with us today.This book sounds os emotional and so current! The news discusses immigration every day now. I would love to read this middel grade novel and get the fears, dangers, emotiona of immigration from a child’s POV. Thanks for the chance to win a hardcover of this exceptional story. Thank you for introducing me to THE ONLY ROAD. I’m adding it to my TBR list! So timely as well. This sounds like another book with a message that we need to hear. Let’s fix this immigration situation so kids don’t suffer this experience. Thanks for telling us about the book, Greg. I am putting this on eon my TBR list. It sounds like an important book that is really well-written. Thanks for the review. Please let someone else win. I haven’t rad that last book I won from you! Sounds like a great book that addresses an issue lots of kids should be aware about. Thanks for the review and the giveaway!